Before Christmas I was invited along to The Mayfair Hotel (!) 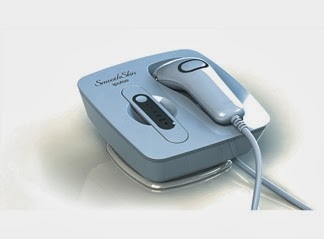 to learn all about the iPulse SmoothSkin Extra Hair Reduction System. Exclusive to Boots, the iPulse SmoothSkin Extra uses IPL (intense pulsed light) to discourage hair growth, eventuating in a virtually fuzz-free existence! At the event, (in between sips of Prosecco and nibbles on mini fish and chips!) I got to see the iPulse in action and was instantly a little more than inclined to try it out for myself. Even though the iPulse Extra is designed to work its magic on most skin tones, I was advised that I was a perfect candidate due to my fair skin and dark hair combination. Finally, my pale hairyness might just be good for something. I haven't started trialling the device properly (you need to use it once a week for at least 4 consecutive weeks to see results) so I can't comment on how effective the iPulse Extra is just yet but I have tried it out to assess how easy it is to use and what kind of pain I'm looking at! 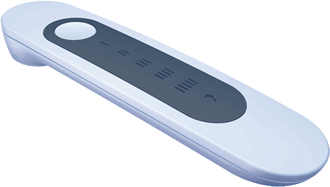 The Ipulse SmoothSkin Extra is quite similar to other at-home IPL systems in that it features a handheld wand with a rather small window that omits flashes. The iPulse features a unique skin tone sensor that gauges your skin tone then sets the device to the appropriate strength setting - this way you're less likely to have any discomfort during your DIY treatment. 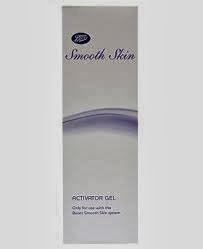 It's essential to apply the activator gel before you start zapping away - the gel acts as a conductor for the flashes and also keeps the skin soothed as you flash it. I've read a few conflicting views about this aspect of the iPulse Extra - some people feel a very slight sting, others experience a tingle. I'm more on the tingle end of the spectrum and I don't find it unpleasant to use at all. It's worth noting that people who have completed the 12 Week Challenge have reported that any discomfort disappears over time. In other words, the more you use it, the more pleasant the experience. The iPulse SmoothSkin Extra is loaded with 100,000 flashes, which is more than enough to treat your hairy bits over 12 weeks, which is the recommended time frame for optimum results. The iPulse SmoothSkin Extra is available exclusively at Boots for £399. Below you can watch a blink-tastic little video of yours truly at the iPulse event at The Mayfair Hotel (the last bit involves my comments on Sensationail which I might post about in the future).